Kokorin and Mamaev – Four months, no sentence, no end in sight? Chertanovo Moscow – Finally getting the recognition they deserve? With the long winter break now having arrived and Russian football set for a three-month hibernation, it is now time to look at the season so far and how it has transpired for each RPL member club. This mid-term report will look at the pre-season expectations for each club based on their squad and summer signings, cross-referencing with last season’s performance and reputation. Then deducing whether or not each club is achieving its pre-season goals so far this season, the comparative high and low points so far for each club, expectations for the rest of the season and finally, placing a grade based on all of the aforementioned factors out of ten. Part Four focuses on Spartak, Ufa, Ural and Zenit. To describe Spartak’s season so far as eventful and full of drama would be a disservice. The Red-Whites went into the season with realistic dreams of winning a second title in three seasons, yet they go into the winter break fourth in the league out of all European competitions. Spartak quite simply has been a soap opera from day one. 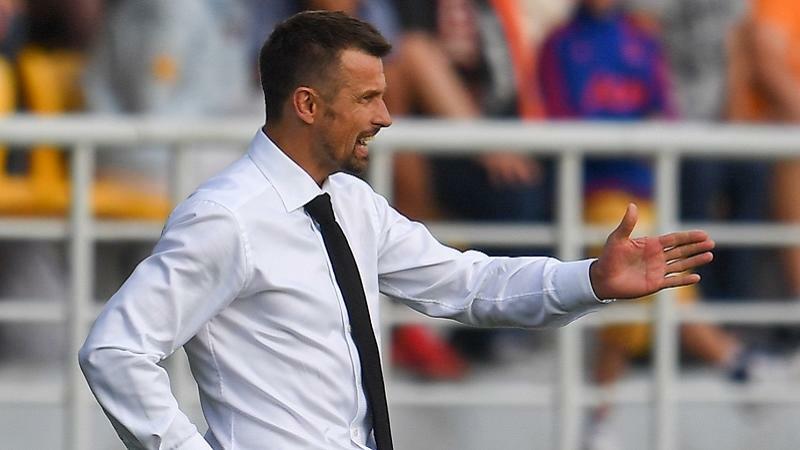 The first sign of choppy waters came in mid-August when despite having home advantage in the second leg, the club was eliminated by PAOK in the Champions League third qualifying round. This was one of the factors in the immediate departure from the club of star man Quincy Promes who left for La Liga giants Sevilla just before the trasnfer deadline. At the beginning of September came two terrible losses, a 3-0 defeat away against Rapid Vienna in the Europa League Group Stage and a 2-1 home defeat to Akhmat Grozny. The Akhmat loss sent the club into a downward curve with only one league win in the next seven games, including a run of four consecutive home defeats. This run eventually culminated in the dismissal of title-winning coach Massimo Carrera. Further poor performances followed in Europe resulting in only four points from two games against Rangers in the Europa League Group Stage as Spartak finished bottom of a favourable group. To add insult to injury, the relationship between fans and club has a toxic feel to it at the moment. Fans on the terrace have openly booed club captain Denis Glushakov throughout the last few months with many believing his alleged poor relationship with Carrera as the main reason for the well-liked Italian’s dismissal. Oleg Kononov was brought in to replace Carrera at Spartak after a short caretaker spell by Raul Riancho. He oversaw Spartak’s two losses to Rapid Vienna and Villarreal which led to their elimination from European competition, however, in his three league matches so far, Kononov has recorded three victories against Krylia, Lokomotiv and Anzhi to give hope of a brighter future. Positives: There have not been many at Spartak so far this season, however, despite being in a state of shock going into the winter break, the club are only six points behind leaders Zenit in the league. Furthermore, until his ACL injury, summer signing Samuel Gigot from Genk was looking an excellent acquisition in defence. The club is still in the Russian Cup, with a good chance of making the final. Finally, many young players from Spartak’s academy have come into the side such as Aleksandr Maksimenko, Nikolai Rasskazov and Mikhail Ignatov and have not looked out of place. Ze Luis is also impressing, with seven goals in 14 games in the league and 11 in 24 in all competitions this season. Negatives: Where do you start? They are out of European competition. Only 22 goals scored in 17 games. The shocking run of four consecutive home defeats against Ahkmat, Rostov, Arsenal Tula and Ural. The dismissal of a proven manager such as Carrera, the continuing selection of Glushakov in the team whose performances since the title win in 2017 have deteriorated substantially. Finally, the toxic environment between fanbase and club which will need to be repaired as soon as possible by Kononov. Grade: 5/10 – Spartak are in a mess and Kononov and the club have already initiated a clearout. So far in the transfer window, Ivelin Popov, Marko Petkovic, Aleksandr Samedov, Jano Ananidze and Roman Eremenko have all left the club with potentially more players leaving before the transfer window closes. Spartak have also already begun rebuilding their squad, Brazilian left-back Aryton Lucas has been acquired from Fluminense. Two young midfield prospects, Maksim Glushenkov and Nail Umyarov have signed from Chertanovo Moscow whilst the club has exercised their buyback clause on 22-year-old Ayaz Guliev who impressed at Rostov in the first half of the season. An interesting Spring awaits for Spartak. 2017/18 was very much a season of two halves for Ural, a great first half of the season saw the side pushing to qualify for Europe and looked on course for a top six finish in the league. However, a poor spring saw them only confirm their RPL place on the final round of the season after sliding down the table to finish in a disappointing 12th place. At the start of this season, the poor spring looked like it had carried over to this season for the Bumblebees as they suffered three defeats in their opening four games, one of which most shockingly at home to relegation favourites Anzhi. However, under the guidance of Ukrainian manager Dymtro Parfenov, newly appointed over the summer, results started to pick up as the season progressed. The highlight of which being the month of November which saw three impressive wins at home against Orenburg and impressively away against Spartak and Lokomotiv. With 22 points and in ninth place so far, Ural are delicately poised in a tight mid-table to potentially challenge for Europe. They are only three points off Rubin Kazan and with Rubin currently banned from European competition as a result of FFP, even finishing seventh could offer a route to the Europa League for Ural. Positives: Excellent results away from home against both Spartak and defending Champions Lokomotiv. 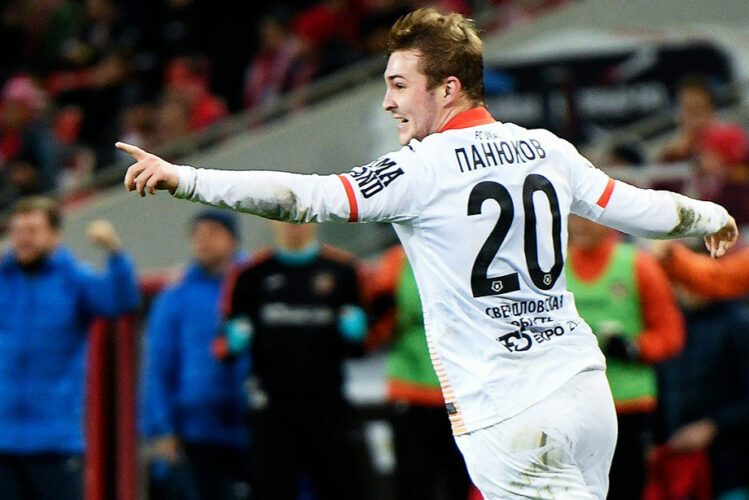 The arrival of Andrei Panyukov on loan from Zenit has given Ural a focal point up front with four goals in ten games helping the team climb the table. Finally, impressive performances in the Russian Cup, after seeing off lower division opponents Neftehkimik Nizhnekamsk and Nizhny Novgorod, Ural then faced Spartak away in the first leg of their Russian Cup Quarter Final tie, a 1-1 draw leaves them with a good chance of progression to the Semi-Finals when the second leg takes place in March. Left-back Denis Kulakov and January 2018 signing Othman El-Kabir have also impressed, holding the two highest Instat indexes of the season of all Ural players. Negatives: Three disappointing results at home against Anzhi, Krylia and Ufa which yielded just two points leave Ural feeling that things could have been even better going into the winter break. The 4-0 reverse away against Dinamo Moscow was a disappointing performance and result. Finally, the defence, normally a resolute side who are difficult to break down, Ural have conceded 28 goals so far, the joint worst in the entire league. Whilst conceding these goals as well, Ural have suffered some heavy defeats such as the Dinamo drubbing, a 4-0 away loss at CSKA and a 4-1 away defeat against Zenit. Grade: 6.5/10 – Ural have had a steady season so far and are on track to achieve their pre-season objective. The performances in the Russian Cup bump the grade up. It will be interesting to see which Ural turn up after the winter break as they are an unpredictable side. After the wonderful highs of last season under Sergei Semak and the highest ever finish in Ufa’s short history, 2018/19 is seeing the club and their fans experience the other side of football. In truth, the season for the club from Bashkortostan has never really got going. At the start, it could have been argued that Ufa were finding it tough to juggle their European and domestic games, something that any side qualifying for European competition for the first time would find tough. However, even after their Europa League exit against Steven Gerrard’s Rangers in the play-off round, Ufa’s results remained disappointing throughout the autumn. Ufa, it could be argued, are suffering as a result of continuously having their best playing and managerial personnel taken away from them. Whilst small, well-run clubs can sometimes cope well with one crop of player and manager departures to larger clubs, having to do it frequently will eventually see a long-term drop in results and performance. In the summer, after masterminding their superb sixth-place finish, the aforementioned Semak departed the club to take up the vacancy at former club Zenit. Influential players such as Dimitri Stoskiy and Ivan Oblyakov also left to join Krasnodar and CSKA Moscow. Ufa had boldly and successfully gambled on Semak in January 2017 to replace Viktor Goncharenko who left to join CSKA (who himself brought Viktor Vasin). However, it is clear that Semak is being missed at Ufa and the club is suffering from the aforementioned issue. Semak’s replacement Sergei Tomarov did not get the required results and has been replaced by former Russian international Dimitri Kirichenko. Kirichenko, who has formerly served as a coach at Rostov under the legendary Kurban Burdyev is now tasked with steering the club to safety. Positives: Since Kirichenko succeeded Tomarov, there has been an improvement. In his four games in charge, Kirichenko has taken five points from 4 games. One of these wins was a 2-0 home win against Spartak, arguably the highlight of Ufa’s season so far. Finally, Luxembourger Oliver Thill, who was signed from a club Ufa eliminated in their Europa League campaign, Progres Niederkorn has been a shining light in a difficult season. Negatives: Whilst Ufa were not expected to defeat Rangers in the Europa League, they were expected to comfortably overcome both Domzale and Progres Niederkorn in the earlier Europa League rounds. Yet despite victories against these teams, the performances and scorelines were not convincing, perhaps hinting at a difficult season to come. Even more worrying is how players who were superb for the club last season such as Ionut Nedelcearu and Ivan Paurevic have looked shadows of their former selves. In the Russian Cup Ufa also put in poor performances and were eliminated by second-tier Nizhny Novgorod. Finally, the club’s away form, Ufa are the only side in the RPL not to win away from home this season. Grade: 4/10 – Ufa is more of a hockey than a football town and everyone expected them to drop from the height achieved under Semak. Nonetheless, it is a concern just how far they have fallen so far this season. Relegation is a real worry and Kirichenko faces a big winter transfer window and spring. The summer saw a watershed moment for Zenit with the appointment of former playing hero Sergei Semak as the club’s new manager. It was the first time Zenit had appointed a Russian manager since Boris Rappoport in 2002. Semak had impressed at Ufa and was beginning to impress at Zenit early on in the season. A sensational 8-1 second leg Europa League third Qualifying Round victory over Dinamo Minsk, which overturned a 4-0 deficit from the first leg was the catalyst that got Semak and Zenit firing on all cylinders early in the season. Prior to their game against Dinamo Moscow away on 21st October, Zenit had only lost once in the league all season, still in the Russian Cup and were unbeaten in their Europa League group. Semak really was enjoying a glorious homecoming in Piter. Then, something that has plagued Zenit in the past returned, the so called “Zenit Winter Curse”. Zenit lost the match against Dinamo 1-0. In the six league games since then, Zenit won three and lost three and have seen their comfortable lead at the top of the table dwindle to just a single point. Furthermore the club was eliminated in the last 16 of the Russian Cup by Rostov and even though Zenit won their Europa League group, the performances gradually got less convincing throughout the group stage. However, despite this difficult autumn, Zenit remain top of the league and have been given a nice draw in the last 32 of the Europa League against a poor Fenerbahce side shockingly battling against relegation at present in Turkey. The break has come at a good time for Zenit and Semak and his squad need to use it to rediscover their performances and results from earlier in the season. 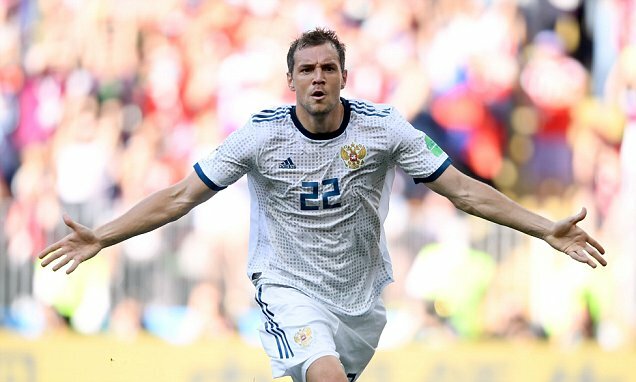 Positives: Artem Dzyuba’s glorious 2018 continued after the World Cup as the striker has been on hot form for Zenit so far this season with ten goals in all competitions. Another positive has been Sebastian Driussi, last season the young Argentine struggled in St Petersburg, however, he is now demonstrating the form which convinced Zenit to pay a large transfer fee for his services. So far with four goals and eight assists, Driussi has arguably been as important as Dzyuba to Zenit this team. Despite unconvincing performances in the Europa League, Zenit won their group with a game to spare. Finally, Semak has impressively utilised players who were out of favour under previous regimes with Slovak winger Robert Mak being one player who has done relatively well in certain games so far. Negatives: The disappointing collapse in the league prior to the winter break which has seen Zenit’s lead reduced to just a single point. The cup exit to Rostov was also a shock as it was a competition Zenit had a good chance of doing well in this season. Finally, in the recent bad run of matches and results, Semak has experimented with a formation composing of three central defenders. However, it has not looked like the formation suits the players Zenit have. The most notorious example of this was the abysmal 4-2 away defeat to Arsenal Tula. It will be interesting to see after the break if Semak persists with this formation and works on it over the break or scraps it and returns to a 4 defender formation once more. Grade: 6.5/10 – A disappointing spell of games pre-winter break drops down Zenit’s grade so far this season. However, so far, Semak has done a good job at the club. Especially considering the mess he inherited at Zenit from Mancini. Semak has already begun trimming down the bloated and excessively large squad he inherited and a few more departures are expected in January. With interest in star man Leandro Paredes from both PSG and Chelsea, it will be interesting to see if Zenit can hang onto their star player until the end of the season. With Krasnodar breathing down their necks in the league, it will also be fascinating to see if Semak also can add to Zenit’s squad in the winter market to help them over the line and win the Championship.